We write on behalf of the Middle East Studies Association (MESA) of North America and its Committee on Academic Freedom to express our deepening dismay over the devastating impact of your government’s emergency decrees on Turkey’s institutions of higher education. MESA was founded in 1966 to promote scholarship and teaching on the Middle East and North Africa. The preeminent organization in the field, the Association publishes the International Journal of Middle East Studies and has nearly 3000 members worldwide. MESA is committed to ensuring academic freedom and freedom of expression, both within the region and in connection with the study of the region in North America and elsewhere. The most recent of the emergency decrees, issued on 7 February 2017, Kanun Hükmünde Kararname (KHK) 686, has resulted in yet another disturbing wave of terminations: a further three hundred thirty (330) academic personnel have been dismissed from their positions at forty-nine (49) universities across Turkey. In addition, two thousand five hundred eighty-five (2585) teachers have been terminated at public schools attached to the Ministry of Education throughout the country. These firings represent a direct violation of academic freedom and the right to education in Turkey. Beyond these mass terminations, thirty-three professors from Istanbul Technical University were detained on 6 February 2017, of whom twenty-two have now been arrested. These detentions and arrests are apparently in connection with an ongoing counter-terrorism investigation based largely on whether targeted individuals had downloaded a messaging app that is alleged to constitute evidence of ties to a religious community that the government accuses of being behind the attempted coup. We have previously written to your government concerning the arbitrariness of detaining people on suspicion of membership in a terrorist organization or participation in coup-plotting based on their having downloaded an app that had as many as one million registered users (see our letter of 14 December 2016). We once again decry the detention of academics on these grounds. As with the earlier decrees issued on 1 September, 29 October, 22 November, and 6 January, we understand that this most recent decree was issued under the authority provided by the state of emergency declared by President Recep Tayyip Erdoğan in the wake of the attempted coup of 15 July 2016. While we recognize that the attempted coup represented a threat to Turkish national security and that the government must take legitimate precautions in the aftermath of that violence, mass firings of university faculty and staff and K-12 teachers across the country do not constitute a legitimate line of action in that regard. Instead, these measures suggest the continuation of a government campaign of intimidation, threats and attacks on all aspects of academic freedom and the right to education that began well before the attempted coup and that continues to accelerate in ways deeply inimical to the quality of academic teaching, research, training and scholarship in Turkey. The government appears set on pursuing a strategy that crushes the considerable intellectual wealth of the Turkish scholarly community and incentivizes those who have, for the time being, escaped arbitrary expulsion from their positions and careers to seek immediate opportunities outside of Turkey. The resulting brain drain will have catastrophic and long-lasting effects on current and future generations of Turkish scholars and students. KHK 686, issued on 7 February, decreed the permanent removal of over four thousand (4464, to be precise) civil servants from their positions, including nearly three thousand in fields related to education. The affected academic personnel come from all ranks: from full professors to associate professors, assistant professors, lecturers and other academic staff in research and teaching positions. As with the earlier decrees, these actions also cancel the passports of the fired personnel. All of those affected by the decree were dismissed on allegations of being members of a terrorist organization or undermining the national security of the state. None were afforded any procedural rights or confronted with any evidence to justify such allegations and dismissals, and no official charges have been brought. Prior to the decree of 7 February, an astonishing array of emergency measures had already targeted higher education in the country. Fifteen private universities were closed, their assets seized, and all of their academic personnel lost their positions. All 1576 deans from all universities in Turkey were forced to resign, and a travel ban was imposed on all academics, which has only been partially modified to give rectors control over travel authorizations for faculty. In all, the four previous decrees resulted in the removal of 4486 academics from their positions at public universities in Turkey without evidence of wrongdoing or procedural protections to contest the dismissals. 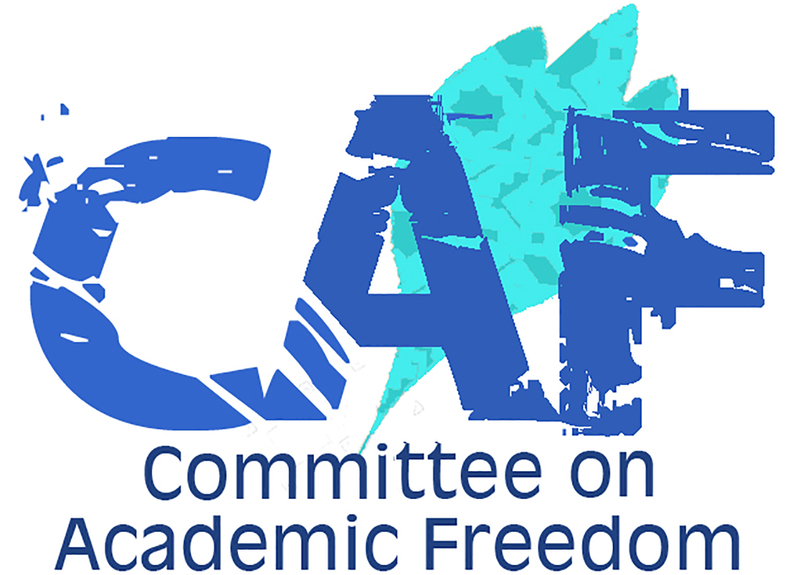 MESA’s Board of Directors issued a statement and a letter, on 21 July 2016 and on 19 August 2016 respectively, expressing our concern about these and other developments that have detrimentally affected Turkish academia, and the Committee on Academic Freedom has previously written letters on 6 September 2016, 10 October 2016, 7 November 2016, 14 December 2016, 21 December 2016 and 12 January 2017. Many of these steps were blanket measures taken against all academics in the country. The more targeted measures resulting in investigations, suspensions and university closures have proceeded on the basis of allegations of links between the individuals and institutions targeted and the planning of the coup attempt. Those allegations do not appear to include direct involvement in the planning or execution of the attempted coup, but rather, suggestions of financial and other ties to the exiled cleric, Fetullah Gülen, whom the government holds responsible for the coup attempt. In many instances, academics who do not even have such indirect links to the Gülen movement have been caught up in these measures. Without more evidence of a direct relationship between the attempted coup and the affected universities, academic faculty and staff, the basis for these actions amounts to little more than guilt-by-association and collective punishment. The targeting of individuals and institutions for their alleged associations, without individualized evidence of wrongdoing, is a violation of basic human rights and, where academic personnel and universities are involved, an assault on academic freedom. Several of those dismissed by the 7 February decree are among academics who have previously been wrongly targeted by their university administrations for their critical stance concerning university governance or for their substantive research on topics deemed sensitive by the government. In our letter of 12 January 2017, we wrote to draw your attention to the arbitrary actions of Ankara University Rector Erkan İbiş in initiating baseless disciplinary proceedings to harass faculty at his university. Now, one of those faculty most severely targeted by Rector İbiş for being a critic of your government’s higher education policies has appeared on the list of those terminated. We have written to you about the harassment that Barış Ünlü has suffered on three occasions (please see our letters of 12 January 2017, 3 November 2015 and 12 December 2012). With this emergency decree, it appears that your government may be relying on rectors like İbiş to identify those deemed to be troublemakers at their universities and then to tar them with the brush of terrorism and national security-related allegations. Similarly, the continued targeting of Peace Petition signatories for termination through the emergency decrees lends additional support to the view that these decrees are being used to quash dissent rather than for any legitimate counter-terrorism or national security-based purpose. The scale of the investigations, prosecutions, dismissals, detentions and campaigns of private harassment directed against academics across the country is staggering. These measures preceded the attempted coup of 15 July, though they have now expanded and accelerated under cover of emergency laws. We have never before amassed evidence of such a record number of violations of academic freedom and freedom of expression in such a short period in the history of our activities in defense of academic freedom in the countries of the MENA region. This record of repression and intimidation of academics is all the more disturbing when considered in light of Turkey’s reputation, until recently, of aspiring to maintain a standard of protection of civil and political rights in keeping with the European Convention of Human Rights. The invocation of anti-terrorism laws as a pretext to investigate, fire and even prosecute academics, journalists, politicians and NGO advocates for engaging in academic research, expressions of political opinions and peaceful demonstrations in support of Kurdish rights has been widely reported over the last three years by numerous human rights organizations, intergovernmental organizations and groups monitoring press freedoms. Against this backdrop, the further assaults on freedom of speech, freedom of opinion and academic freedom under the state of emergency signal the abandonment of basic human rights protections under Turkish law in direct violation of Turkey’s international obligations. As a member state of the Council of Europe and a signatory of the European Convention for the Protection of Human Rights and Fundamental Freedoms, Turkey is required to protect freedom of thought, expression and assembly. Turkey is also a signatory to the Universal Declaration of Human Rights, the International Covenant on Civil and Political Rights, and the Final Act of the Conference on Security and Cooperation in Europe (OSCE), all of which protect the rights to freedom of expression and association, which are at the heart of academic freedom. Derogation from human rights instruments under the state of emergency must be narrowly tailored to the exigency at hand and cannot arbitrarily restrict academic freedom or justify the massive and arbitrary dismissal of thousands of academics across the country. Moreover, the rights being trampled in these actions are also enshrined in articles 25-27 of the Turkish Constitution, in addition to the right to education enshrined in article 42. We urge your government to take all necessary steps to abandon the course currently being pursued and to protect academic freedom and the right to education. We respectfully ask that your government take immediate steps to reverse the dismissals announced in the 7 February and 6 January 2017, and 22 November, 29 October and 1 September 2016 decrees and ensure that all of the investigations—disciplinary and criminal—that we have enumerated in our previous letters and Board statements be terminated or reversed. We also ask that your government desist from broadening the definition of terrorism to encompass the lawful and protected activities of academics, journalists, NGO advocates, and students. In the aftermath of the failed coup attempt, your government has an opportunity to restore confidence in its commitment to democratic rights and freedoms by taking steps to protect academic freedom, right to education, freedom of expression and freedom of association. Thank you for your attention to this matter. We look forward to your positive response.